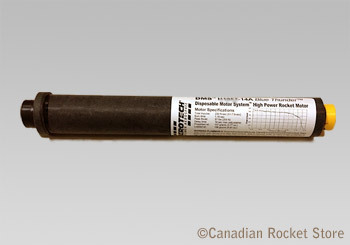 AeroTech is introducing a new product for the high power rocketry market, the DMS™ "Disposable Motor System™" line of adjustable delay and ejection single-use motors. The time delay of DMS motors is shortened using AeroTech's new Universal Delay Adjustment Tool, which is provided free of charge to each customer who purchases one or more motors (one free tool to a customer). Same tool is used to adjust the delay for RMS EZ Reloads.